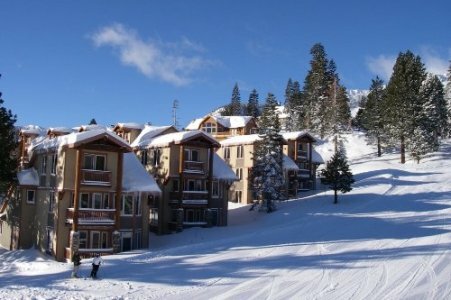 Canyon Lodge has several condo developments that are located close to the base of the ski lodge, however, nothing that is truly “ski-in, ski-out”, other than the Timber Ridge condos located at the top of John Muir. You can ski down to Canyon Lodge from the Timber Ridge condos complex above the “Blue Jay” ski run, but this is subject to enough snow coverage. The condo developments you’ll find just a short walk to the chair lifts at the Canyon Lodge area are: Mammoth Ski & Racquet, Mammoth West, St. Anton, Snowbird, Chamonix, Courchevel, Rainbow Villas, Western Slopes Villas, 1849, Sierra Megeve, Silver Bear and Mountainback condos. 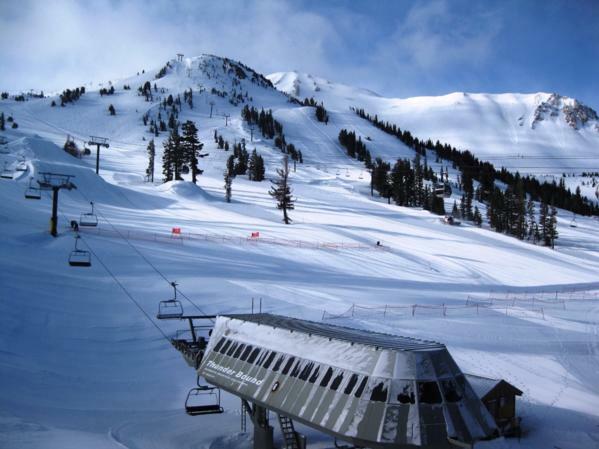 There are quite a few homes that back up to some of these condo developments in the Mammoth Slopes subdivision, but they may be a little too far to walk in ski boots. The area of homes closest to Canyon Lodge will be on the western most point of Lakeview Blvd., adjacent to 1849 condos, and the homes that are close to or on Mammoth Slopes drive. There’s no question that if this future ski lodge ever breaks ground, it will add value to the properties surrounding it. The properties that directly border the ski slopes at Eagle Express are: Juniper Springs Lodge, Sunstone condos and Eagle Run condos. Behind these three ski-in, ski-out condo developments is the Juniper Crest luxury townhomes development, which provides groomed access onto the ski slopes leading between Juniper Springs Lodge and Sunstone condos. You also have the Bridges ski-in, ski-out condos located on “The Bridges” ski run at Eagle Express. Above this development is Altis, which is a group of four very high-end and modern townhomes built on four levels with floor to ceiling windows to capture the spectacular views down the valley. Juniper Ridge is the only true “ski-in, ski-out” residential subdivision, in which a few of these homes are actually located directly on the ski slopes above Juniper Springs Lodge, Sunstone and Eagle Run. Greyhawk is another residential subdivision that has maybe two homes that back to the ski slopes above Eagle Express. This high-end subdivision is located above the Bridges and Altis condos. However, it would mostly be considered “ski area adjacent”. 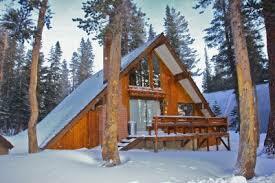 For a list of ski-in, ski-out properties currently available for sale, click here. 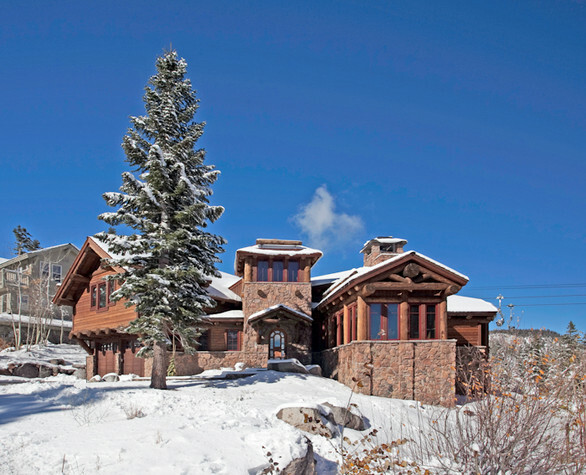 To view properties that are located adjacent to the ski slopes, click here. 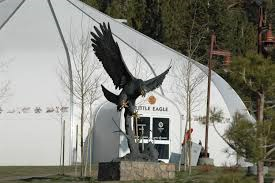 As always, feel free to contact me directly to schedule a showing appointment to view Mammoth Lakes real estate listings or with any questions you may have.